In 1929 Attilio Ravaioli planted the rows of vines on the first vineyard he bought in the village of Nespoli, named Prugneto; in a part of Romagna between the Apennines and the sea. His vineyards expanded and, today, Poderi Nespoli has 110 hectares of vines in the Bidente Valley. Due to vineyard exposition and geography, this area is well suited to growing Sangiovese. This wine is 95% Sangiovese and 5% Merlot. 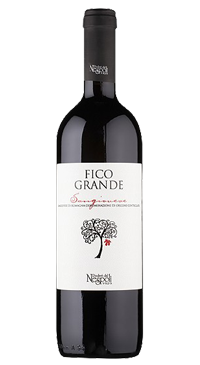 It is a pure expression of grape and land..Bright garnet in the glass with aromas of cherries and violets. A great wine for everyday drinking with simple Italian inspired fare.